If you’re looking for engagement jewelry with creatively colorful and artistic options, look no further than ArtCarved engagement rings. 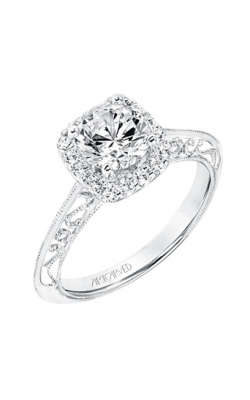 ArtCarved engagement rings were first made in 1850 by the company’s founder, J.R. Wood. Each piece is crafted with care and extra attention to each detail to make some of the most beautifully intricate engagement rings around. The brand is dedicated to craft their rings with only environmentally friendly materials and ethically sourced materials. ArtCarved seeks to empower the people who source the materials their rings come from, so the brand is dedicated to utilizing conflict free diamonds and other gems from ethically sourced places. ArtCarved rings are available in three different, beautifully-designed collections: their Classic, Contemporary, and Vintage engagement rings. Rings from the Classic collection go the more traditional route. The rings have the signature look of the ArtCarved design, but with a timeless look to satisfy any bride-to-be. The Contemporary style collection has sleek bands and a chic look, all the rage for the modern day woman. Stylized bands and fresh new uses of gems in bands and settings create a feast for the eyes. 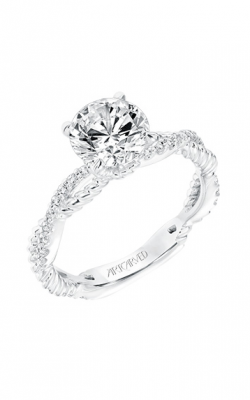 For the more nostalgic brides-to-be, a vintage ArtCarved ring will give you that old world style in a new way. The intricate designs have inspiration from engagement rings and other jewelry pieces from eras past, while still being uniquely in line with the style from ArtCarved. 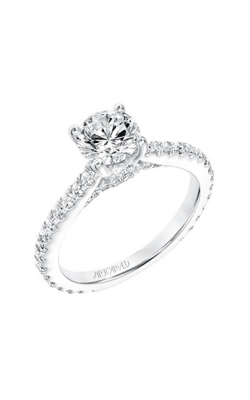 At Long Jewelers we pride ourselves on our history of service and our selection of luxury jewelry. Thomas Long started the company in 1878, and since then it has remained a family owned business dedicated to crafting jewelry of the highest quality for our discerning customers. We make jewelry and watches for all kinds of occasions, including events like weddings, engagements, and graduations. Our items are both fashionable and stylized to meet certain tastes, and we’ll work closely with you to ensure that your jewelry item is exactly the way you envision it. Contact Long Jewelers today at 877-845-6647 to make an appointment at one of our locations, or visit our website to explore the huge array of fine jewelry and timepieces available to you.